Anything Goes, GD card for Fab'n' Funky! This is my last card as a GD at Fab'n' Funky. Thank you Lou and team for given me the opportunity. I have enjoyed the time together with you. The theme this time is a easy one. was kindly given some images to play with. I have used this cute digi image, Noah's Ark. You can find it here. I think it's the perfect motiv for a 'Welcome to the World' card. I have made a circle easel card. 'Ten small fingers and ten small toes'. The dp are from a 6x6 pad from Echo Park. I have added glitter to the water and on the heart. I have used this fab sketch form The Sketchy Challenges. Fall, a midweek reminder, DT card for FFF. you can find her in the Prairie Fairy Designs store. My papers are 'Indian Summer' from Basic Grey. The 'Happy Birthday' is made with a Martha Stewart punch. The brown flower is from my local store, HobbyHimmelen. The round sentiment is from Cat's Life Press. I just want to show you what happened with my first image! Normally I cut first, but not this time! it the wrong way, here is the result. Tip: Cut and then paint!! 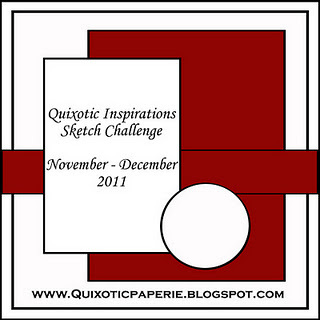 I have used this sketch from Quixotic Inspirations. Happy Birthday! GDT card for Fab'n' Funky! I'm so lucky beeing their GD in November. presents... or any other project that fits the theme. I'm always in need of Birthday cards, and have made this for a friend. The image is this beautiful Sugar Nellie ,'Butterfly Girl'. I find her adorable and a dream to colour. The dp are from BoBunny's 'Back To Backs'. Not really the colours I normally use, but perfect for autumn cards. 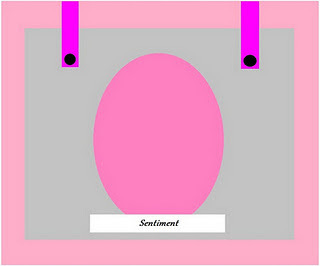 The sentiment is a digi freebi from 'Create With TCL'. they are punched with a Martha Stewart punch. The edge punch is also a MS.
A lot of leaves to give the Autumn feeling. And.... looking as usual.... the back side with my personal stamp! I have used this fab sketch from Hanna and Friends. X for Xerox, DT card for ABC Christmas challenge. And I'm the lucky one who is hosting. It's not as difficiult as it sounds. ABC Christmas Challenge during 2011. In other words, CASE a card. the colours, the image, the papers. to tell us from where and whom of us you are inspired of. Link to the selected one or even better, show us the card you CASE. First I want to show you the card I have xerox'ed. THIS IS HELENS CARD I HAVE CASED. THE BLUE AND WHITE ! 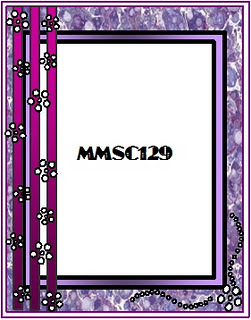 This is Helen's card for our G for Girly challenge March 30th. The cute image is from Wild Rose Studio. A really sweet and lovely card. This is my card, I must admit is is a bit diffrent! Not only the colours, but the whole therm differs. 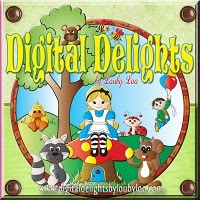 I have used a digi image, kindly given by Bugaboo. I think she is outstanding!! The dp are from Papirdesign. with a Marianne Die and added pearls from Kort og Godt. The inside with space for writing a greeting. And the usual back side, with my personal stamp. should have a go you too. Come and join in and have fun. Fall, DT card for Fairy Fun Friday! 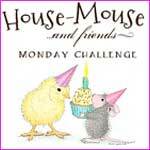 Fairy Fun Fridays is ready with a brand new challenge for you. Kendra is hosting today and has the privilige to choose the theme. to join in, but they are so beautiful, so why not? They're found in the Prairie Fairy Designs Store. November Birthday Card for one of my friends. 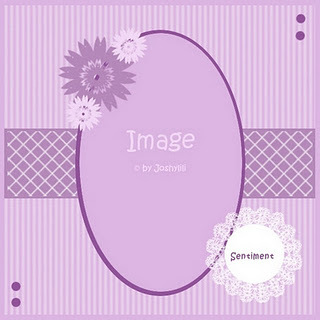 The round sentiment is from Whimsy Stamps. 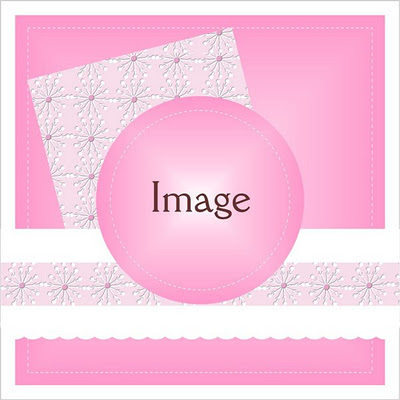 The embossing folder is 'Floral Fantasy' form Cuttlebug. I have made some false sewings on my card today. The usual back side, with my personal stamp. I have used the sketch from A Gem of A Challenge. All White, DTcard for DDCC. you to use white papers and embellishments. Easy peasy or what do you think? or is this the right colour for the backing paper. Phew I struggled with this card!! Normally I'm a slow card maker, but not SO slow. to use, and to find the perfect sketch. Finally I choose my favorite Magnolia stamp, Flying Angel. And I'm satisfied with my choise. I have used some glittery paper for the punched snowflakes. They are made with a die from Marianne Dies. has a sort of glossy surface. Hard to tell by the photos. the snowflake wreath from Magnolia. The usual back side, my personal stamp and the front in miniatyr! I can't, but I was there!! We are looking for new DT members. Take a look here if you are ready for some new challenges! The call will remain open untill December 10th. It's Cold Outside, GDT card for Fab'n' Funky. 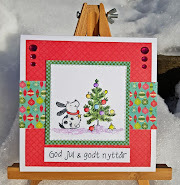 It's time for my third GDT card for Fab'n' Funky Challenge. The sponsor this time is Fred She Said. I have used this beautiful digi image from Fred She Said. Emma the Caroler, is the name. The doves are a part of the digistamp. I have cut them out and used them as embellishment. The dp is from Papirdesign a Norwegian company. a Martha Stewart corner punch and cut a bit. Stickles added on Emma's wings and halo. Liquid Applique on the white parts of her clothes. This is the back side of my card with my personal stamp. I love my newest embossing folder with the snowflakes. 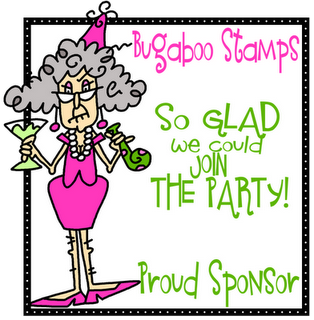 I have used this sketch from Stampin' for the Weekend. Venner er gode at ha'. Først er jeg nødt til at sige undskyld for de dårlige bilder. Jeg har gjort mit beste. Redigeret 15 nov, nye foto som er lidt bedre! Men motivet er lige sødt for det. Det er et House Mouse stempel jeg har brugt for første gang. Papirene er fra Basic Grey. Teksten er skrevet på PC og printet ud. Dre er kommet Stickles på de grønne grannåle. Blomsten er fra Prima med en enkelt bling. Masser af bling på venstre siden. Inden i plads til at skrive. Lige så dårlige farver her som foran! ØV! Jeg har brugt sketchen fra Midnight Madness. og en som er lidt mere avanceret. Så kan man vælge efter behov. White plus One, GDT card for Fab'n' Funky. Give Thanks, DT card for DDCC. GDT in November at Fab'n' Funky Challenge!